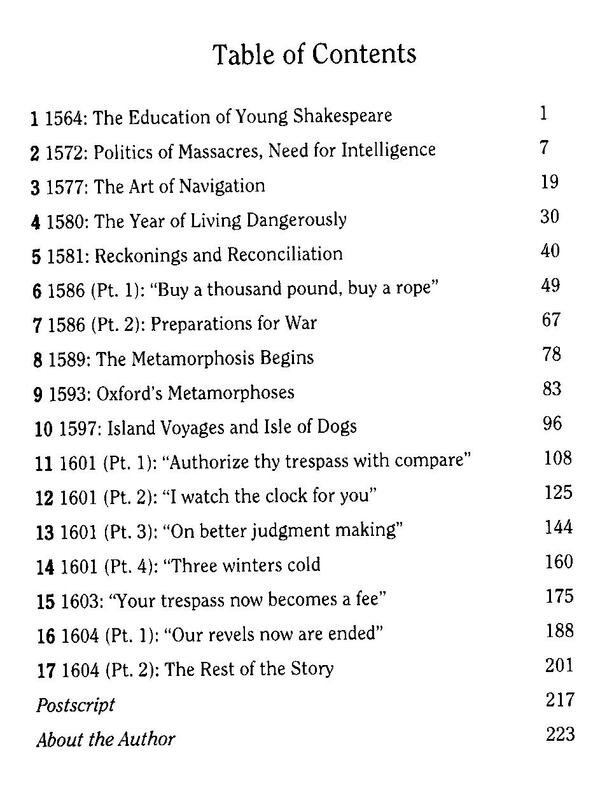 Some readers have requested that I post the Table of Contents for my new book Twelve Years in the Life of Shakespeare, a chronological collection of seventeen columns focusing on a dozen separate years in the life of Edward de Vere, 17th Earl of Oxford (1550). 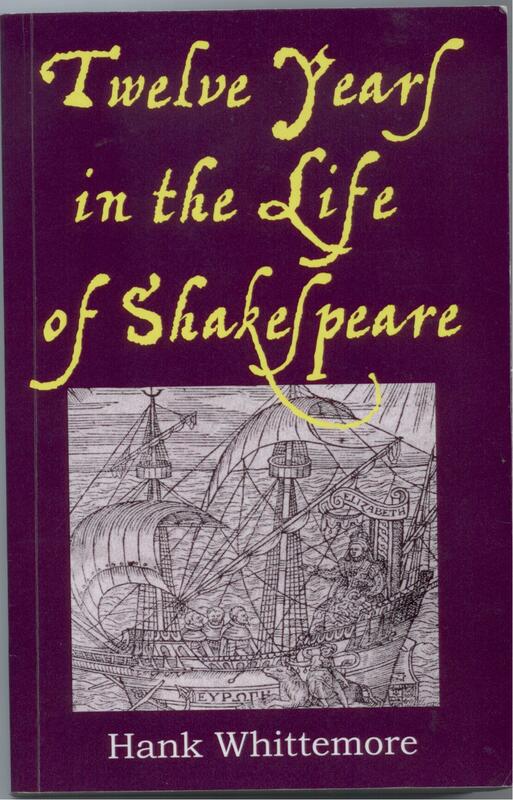 The columns were published in Shakespeare Matters, the newsletter of the Shakespeare Fellowship, and I had never planned to collect them; however, it occurred to editor Billy Boyle and me that we had created a special kind of biography without realizing it. 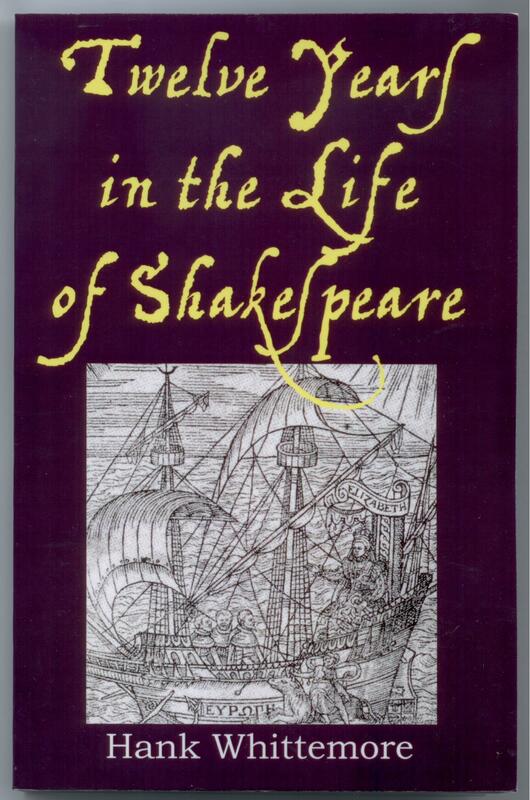 Because of the focus on individual years in Oxford’s life, arranged in chronological sequence, there’s a new clarity — which, it seems to me, creates some enjoyable reading while lending new insights into Oxford’s life in relation to the “Shakespeare” phenomenon. In another post soon I’ll post up the Table again with a short paragraph of description for each chapter. Today I’m pleased to announce a new collection of my “A Year in the Life” columns for Shakespeare Matters, the newsletter of the Shakespeare Fellowship, now available on Amazon.com. The columns were written from 2001 to 2005 under the editorial guidance of William Boyle, who also edited the new book and supplied its introduction. 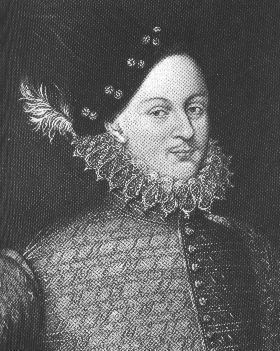 Now they are collected in chronological order as Twelve Years in the Life of Shakespeare – that is, a dozen years in the life of Edward de Vere, 17th Earl of Oxford, in relation to the works attributed to Shakespeare. Because some years in Oxford’s life required more than one column, the collection has seventeen chapters plus a postscript. I found the columns extremely rewarding to write, in terms of doing the research and gathering information within the specific time periods: 1564, 1572, 1577, 1580, 1581, 1586, 1589, 1593, 1597, 1601, 1603 and 1604. Often the process seemed like that of a detective – bringing together different pieces of the puzzle to form a new or clearer picture. 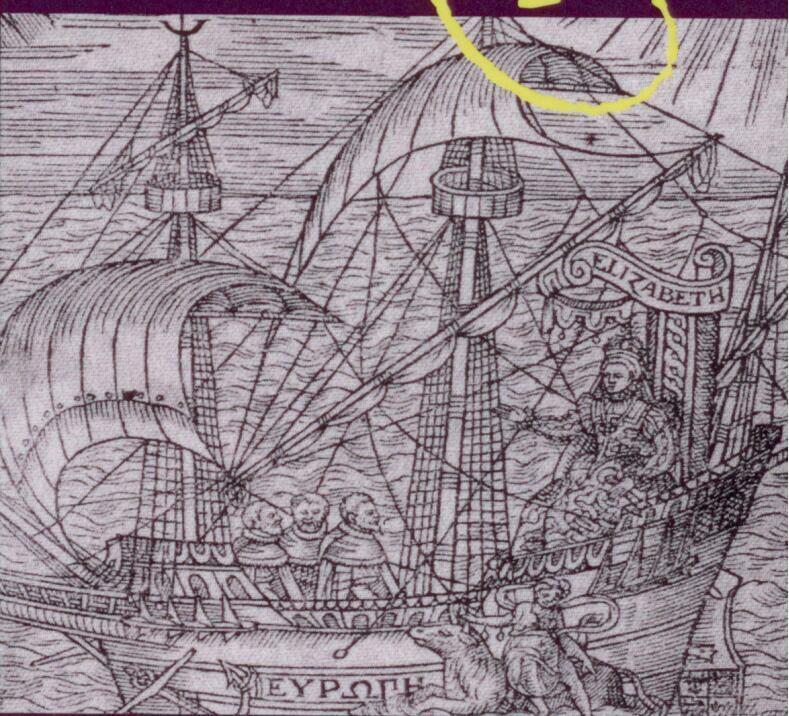 On the cover is part of the title page of General and Rare Memorials Pertaining to the Perfect Art of Navigation (1577), a limited-edition book for the royal court by John Dee – a drawing that shows Queen Elizabeth at the helm of the Ship of State, with three others on board – presumably William Cecil Lord Burghley, her Majesty’s chief minister; Sir Francis Walsingham, in charge of England’s new secret service; and Robert Dudley, Earl of Leicester, formerly the queen’s lover and still her friend. 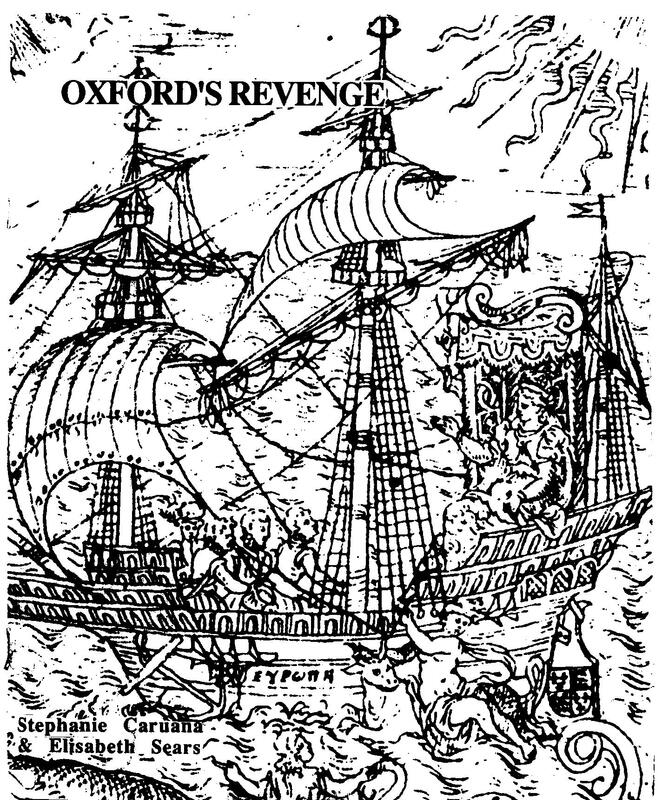 A draft version of the same drawing was used by Stephanie Caruana and Elisabeth (Betty) Sears for the cover of their privately printed 99-page pamphlet Oxford’s Revenge : “Shakespeare’s” Dramatic Development from Agamemnon to Hamlet (1989; currently out of print); and on that drawing was a fourth figure on board the Ship of State – a young courtier, with a feather in his cap, looking very much like the young courtier Edward de Vere, who was twenty-seven in 1577. How curious that when the Dee book was published the fourth figure in the draft drawing had disappeared! I’ll be posting more information about the book in these coming days. In the meantime, any editor or reviewer or commentator who would like to have a “review copy” sent to her or him, please contact me at hankw@optonline.net.